How often do you find yourself at one of those paint-your-own-pottery stores? If you have young kids like me, it is at least once a year. You would think a creative person like me would love such an opportunity. But I don’t for various reasons, including dissatisfaction with the finished piece. So I usually sit and watch my kids while they happily paint another bowl, mug, jewel box, or figurine. But when I went with an extended family group, it seemed inappropriate to not participate. 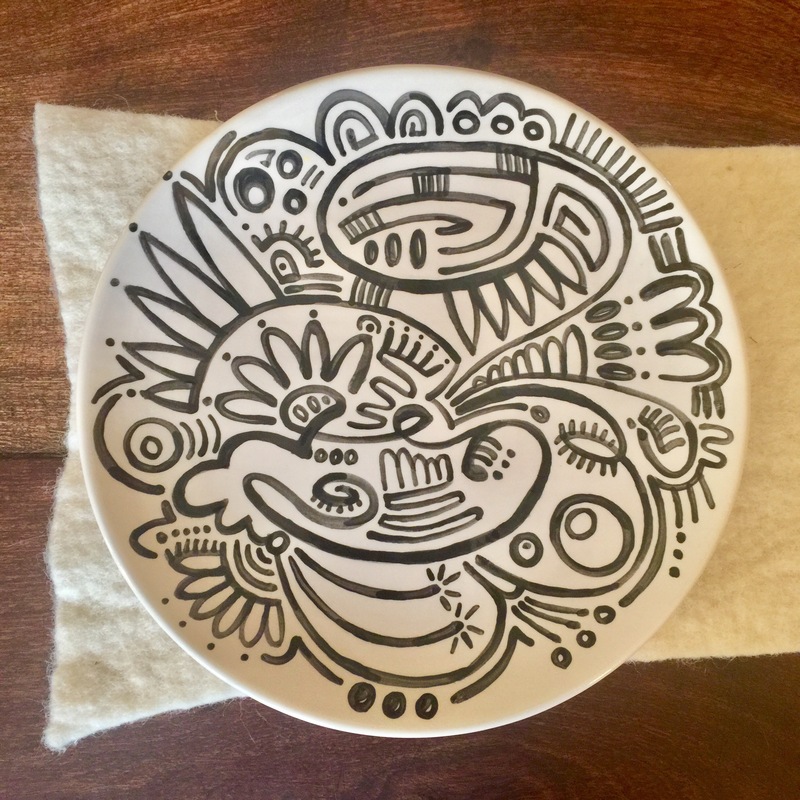 So I chose a simple plate, a small brush, and black paint and just started to doodle. The act of doodling is freeing. No form or figure is required. It does not have to BE anything. And the black/white format freed me from any color clashes (because we all know those powdery paints never look the same as the vivid samples after firing.) Mindful doodling is slightly different than just random doodling. I am watching lineweight and balancing the patterns as I go. There are no rules, yet I am following my instinct for what feels right; just enough marks to fill the plate. And for the first time ever, I actually really like the finished piece.